Tuesdays, through October 30	| 5:30-6:30 p.m.
Would you like more love, creativity and happiness? Are you ready to re-ignite your passion for work and play? Promotes an overall sense of well-being. Now imagine using laughter in a joyful meditation: attending to the sound and feel of laughter, experiencing the letting-go of hang-ups, inhibitions, and worry!Through laughter one experiences laughter that is pure silliness, pure joy… open and honest . Joy for the spirit, as well as healing for the body and mind. 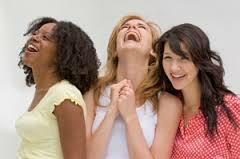 Laughter Meditation has two lovely and simple parts: The first …we laugh together. The second…we sit in silence together. This meditation doesn’t require sitting in lotus position, or breathing in special ways, or total silence—it is simply and joyously accessible for people of all abilities and inclinations. Laughter does not have to arise directly from spontaneous joy—it can be practiced in even the soberest of life circumstances, when laughter seems completely counterintuitive.Even when we don’t feel happy, we can teach ourselves to laugh as a technique. A few minutes of laughter can result in hours of feeling physically and mentally better, which allows our body to sustain its healing work. Come join this transformative group to practice the power of laughter as a life-changing meditation. Reserve your place in classes by calling the Virtue Medicine Studio at 338-5190, or by stopping by the Eastwind Healing Center. Email the Studio at virtuemedicine@gmail.com.